During the long hiatus away from doing this thing as a hobby I still read my mails waiting for YoYo Games Inc. to put some new promotional discounts on the rest of the GM Studio Module Exporters that I can afford to add to my HTML5 exporter (Well, anyone would also want those Android and other exporters, right?). And then there is this “Humble Bundle” which I missed last year, but today I was able to get a hold of the opportunity to participate in paying only 15 dollars to a bunch of stuff that would normally cost multiple times. 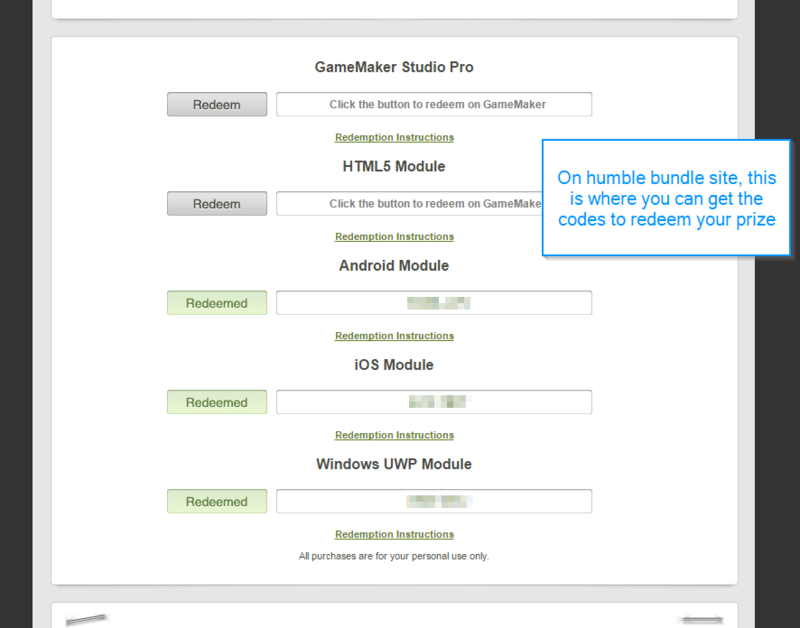 I am talking about this years Humble Bundle’s offering for people who are into Game Maker Studio. 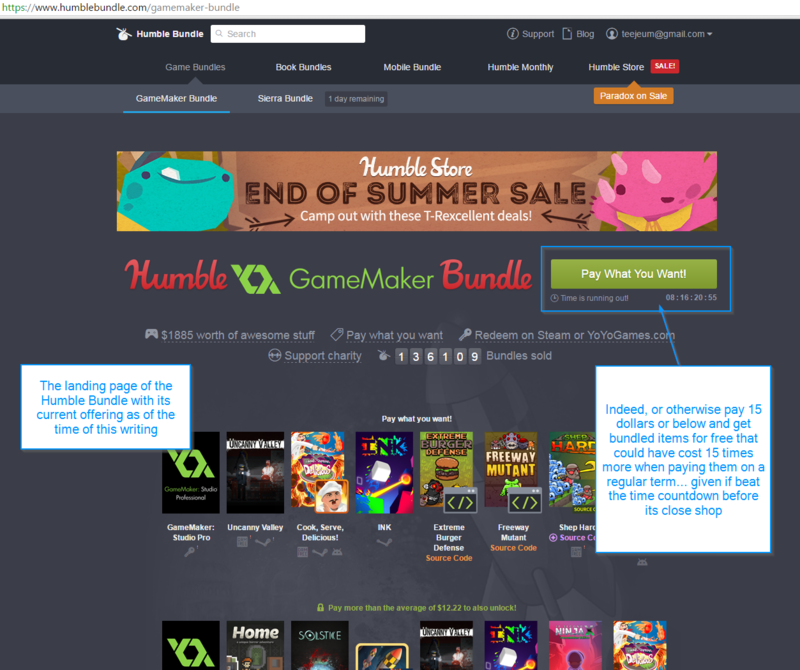 So what is Humble Bundle? well, to sum it up it is a site that offers weekly bundles of electronic stuff like games and e-books which you can get with the cost amount of your choosing, it may have tiered price but still very cheap enough for the digital goodies it offers, you can also decide to pay higher for a good cause, since some of the collected revenue will go to charity, and that is really cool thing to think about. Yes, almost the entire Master Collection including the Game Maker Studio Professional itself, but I am really happy with everything I’ve got this day, in fact, these are just the exporters that I really care about anyways. But wait, there’s more! 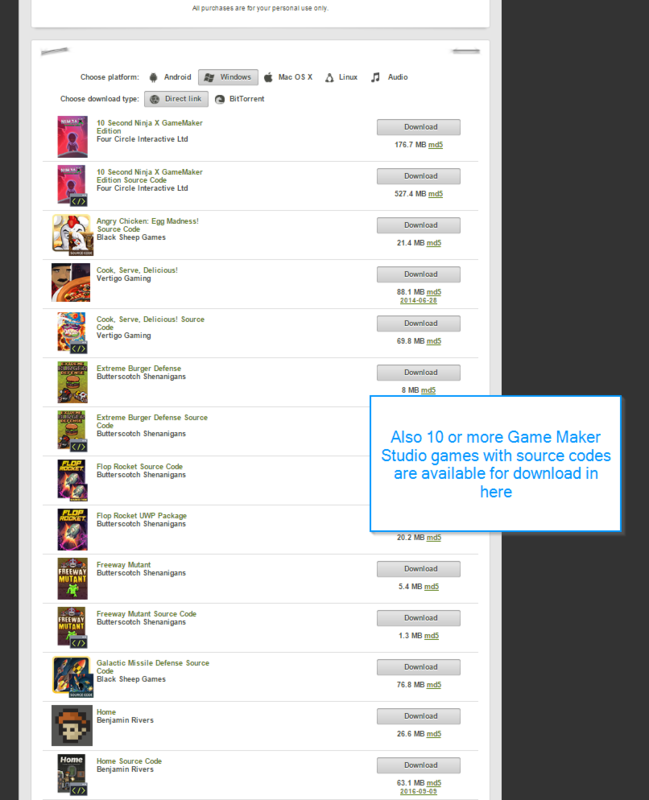 also included in the bundle are some 10 plus games and their source codes available for download for each available platform you prefer, this is really a great day for me, not only you get the development tools but also some nice source codes you can learn from. 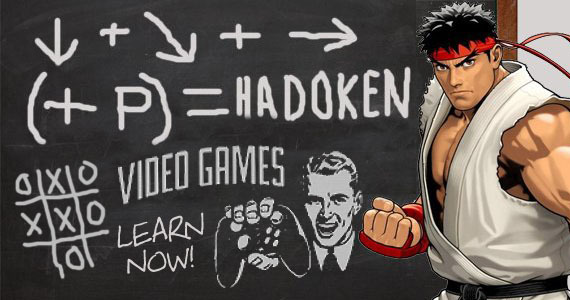 If you have Steam (everyone I know has) there also a number of games you can redeem for use with steam. I haven’t seen the games but I would really love to see the source codes themselves. I really expect myself to squeeze some more time back to this hobby again. Overall, Humble Bundle is a great success not only to people looking for it but also to feel good as a human being because part of the proceeds will go to charity, and that is what this whole thing makes me feel far more better. 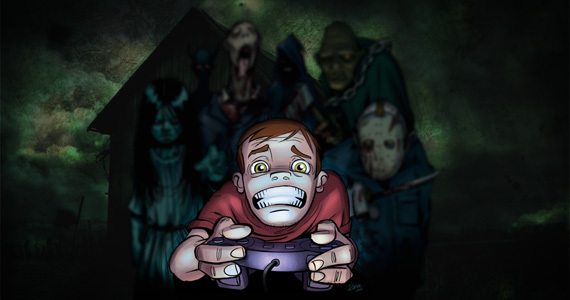 What Makes a Game Scary?